Fashionable cuts, color, and styling services in a friendly, casual atmosphere. Our stylists cater to the needs of our clients by offering personal attention to create stylish, quality hair designs. Walk-ins are always welcome. Appointments are strongly encouraged and greatly appreciated. As always, all of our customers receive complimentary beverages. Follow us on social media! Read our reviews! At the bottom of the page you will find links to our Instagram, Facebook page and Yelp reviews. Please give us a like and leave a review telling everyone how much you loved your experience at our salon and your hair. We love our customers and appreciate feedback! 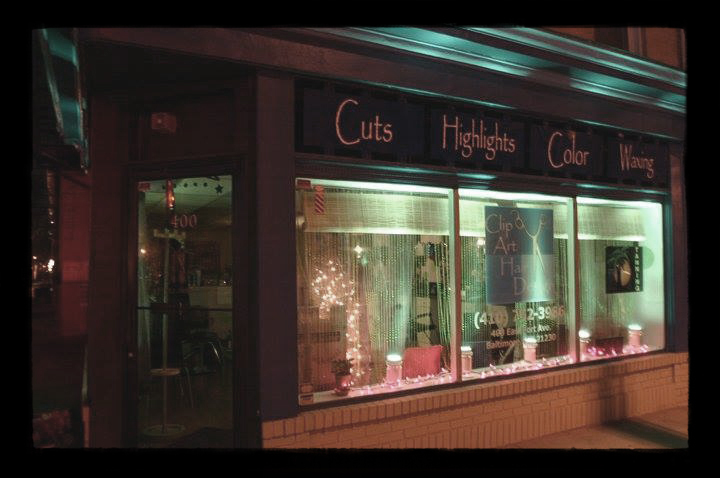 Clip Art Hair Design has been proudly serving Federal Hill and the surrounding area since opening its doors on January 1st, 2004. Owner, Liz Gamble is joined by her team of stylists which include local favorites, Jamie Lee, Tracy Gero Murphy, Anetta Hoover and Jennifer Mayne our salon coordinator! Please visit our stylists page to read more about our stylists. Please contact us to schedule your appointment or, call 410.752.3986. Please leave a message if we are busy and we will contact you as soon as possible.